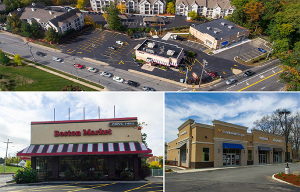 SkyFlik, Inc. has been one of New England’s leading aerial photographers for commercial real estate for many years. Our aerial drone photography will enhance any listing from small leased units to sprawling acres destined for large development. Allow SkyFlik to provide the airborne perspective for potential buyers. Viewing a commercial property from the air significantly enhances the overall understanding of the property’s size, surrounding area and the community. This paints a vivid picture of the locality, and allows the commercial real estate buyer see their vision. Knowing the local area directly around a location is an important aspect of the decision to buy or lease. 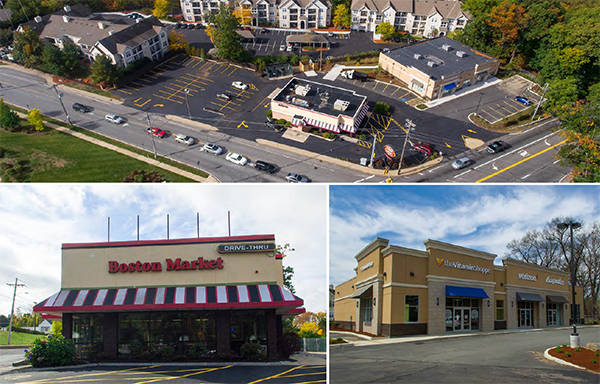 For commercial real estate, displaying traffic density can be a deal maker or breaker. SkyFlik’s aerial photography or video will display the property highlights that you consider important to make the sale. We film from the surface to 400 feet to provide enrichment to the photographs or video by spotlighting certain aspects such as nearby businesses, local roads, and pedestrian traffic numbers. Why Use a Skyflik Drone? Still photography or video may assist at different phases of development and construction. If you are developing a distinct section of land, a drone flyover can aid in the planning, preparation and communication amongst a group of developers. 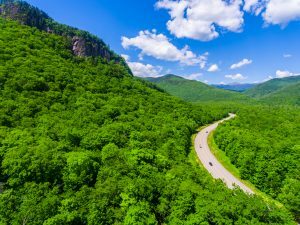 Whenever used creatively, a drone flyover video can create a vision for the future of the location. The Merrimack River is a meaningful regional focal point in both Massachusetts and New Hampshire. The central-southern segment of New Hampshire and the majority of northeastern Massachusetts is known as the Merrimack Valley. There is a long history of the importance of the river to the area dating back hundreds of years. Finally, for the first time, we can see the river from above and from perspectives never seen before. From enjoying catching Striped Bass at the mouth of the river (seen below), or kayaking in the watershed in the NH White Mountains, the Merrimack River provides many opportunities to people from all around. Skyflik is at home above the Merrimack Valley. With several pilots that live in the area, it is one of our most familiar areas. 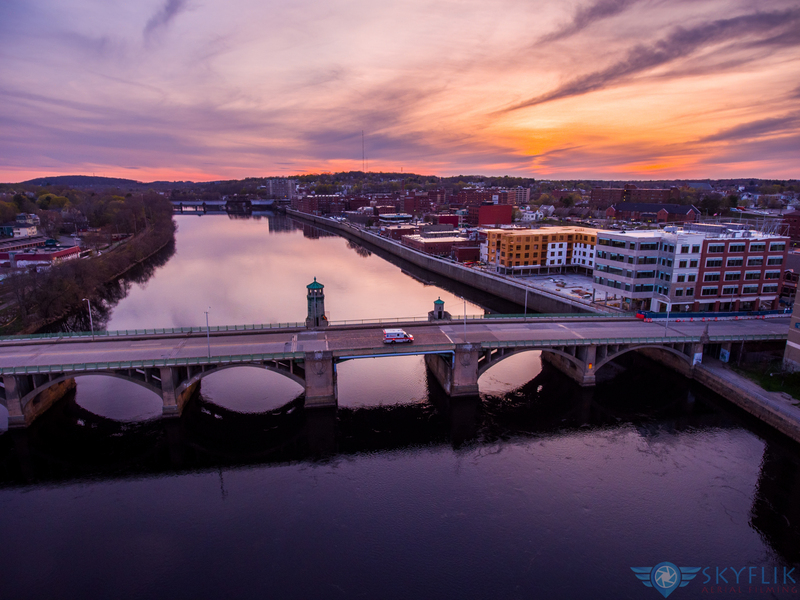 We have flown thousands of times and we are the leading provider of aerial photography in the Merrimack Valley. Most noteworthy, Skyflik has completed jobs in Massachusetts in Amesbury, Andover, Billerica, Boxford, Chelmsford, Dracut, Georgetown, Groveland, Haverhill, Lawrence, Lowell, Merrimac, Methuen, Newbury, Newburyport, North Andover, Rowley, Salisbury, Tewksbury, Tyngsborough, West Newbury, Westford and Wilmington. In addition to Massachusetts, we also have a fairly extensive list in New Hampshire flying in the following towns: Allenstown, Amherst, Atkinson, Auburn, Bedford, Bow, Brookline, Candia, Canterbury, Chester, Concord, Deerfield, Derry, Epsom, Goffstown, Hollis, Hooksett, Hopkinton, Hudson, Litchfield, Londonderry, Loudon, Manchester, Merrimack, Milford, Mont Vernon, Nashua, Northwood, Nottingham, Pelham, Plaistow, Raymond and Salem. There are many advantages to showing off real estate and property from the air. Aerial filming projects provide a better perspective for buyers. Here are 4 reasons to hire a drone company for real estate photography. Drones come in all shapes and sizes. From the widely available Parrot Drones that you can get at any electronics store to the high end DJI spreading wings octocopters, there are many choices if you want to get a camera in the sky. As with most things in life, you get what you pay for. Chances are real estate agents and homeowners do not want to spend thousands of dollars on quality platforms and cameras. If you want to hire a drone company for real estate photography, you will save a great deal of money on buying the best gear. A good drone company will have the best equipment for every type of job that they specialize in. They will also have insurance on their equipment, something that is probably not even considered by most real estate agents when flying on their own. Not all pilots are created equal. Drone technology is improving almost as rapidly as the mobile phone industry. The problem is keeping up with this technology is difficult and expensive. This also creates a need for training and experience with this emerging field. 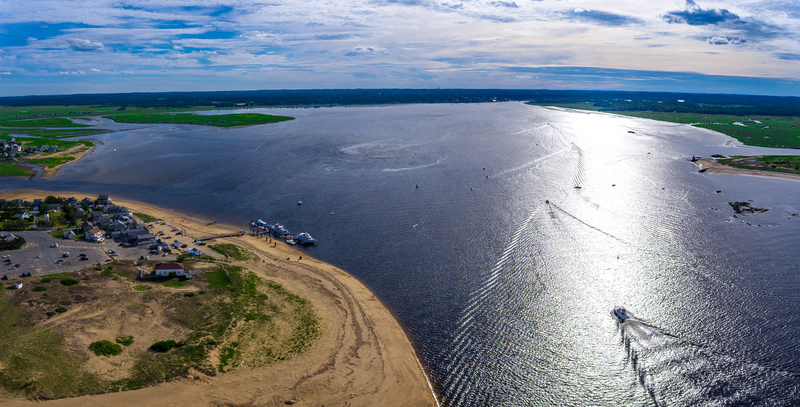 Our professional drone pilots have spent years perfecting the art of flying and have a special ability to put the camera in the best possible location for the the perfect shot. 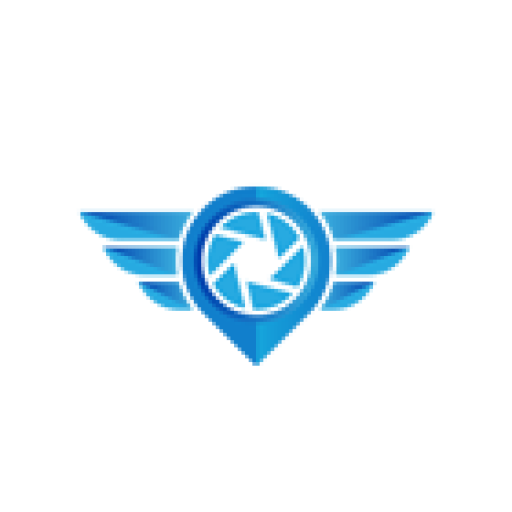 We will work with you and your “vision” to create a spectacular drone project. Professional drone companies also realize that one of the fastest way to lose customers is to have a poor editing team. Because of this, SkyFlik has invested a good deal of time improving our editing skills. This is how we provide the “wow” factor when showing off a listing. The ability for the editors to tell a story out of the aerial shots can really improve the likelihood of customers being attracted to the property. See some of Skyflik’s Aerial Video Samples. You read that correctly. In the United States and many other countries across the world, it is currently illegal to fly drones commercially without the proper exemptions, COAs and registrations. This is by far the biggest issue when it comes to real estate agents piloting drones. Using aerial pictures of anything with the intent to sell falls under the FAA’s “commercial” category. This is why real estate companies should hire an FAA approved drone company for real estate media. Skyflik has acquired all of the FAA required exemptions and COAs. A “Section 333 Exemption” is required to conduct commercial drone operations. Here is SkyFlik’s 333 Exemption. If your property is near an airport there are even more steps that need to be taken in the name of safely flying in the National Airspace System. SkyFlik coordinates with governmental agencies to comply with all safety regulations. 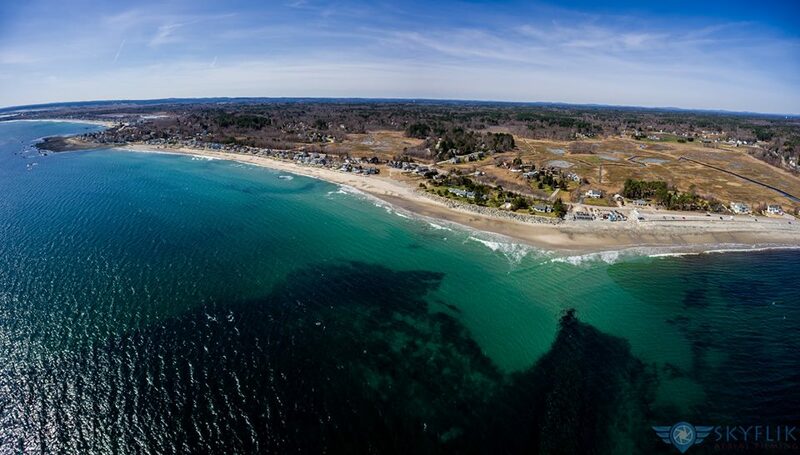 We are proud to offer Cape Cod Real Estate Aerial Video and Photography Services. Cape Cod has an exciting and competitive real estate market. Appeal to potential buyers and make your listings stand out by providing an aerial tour. SkyFlik Aerial Filming offers customized packages to fit any budget. Having Aerial Wedding Video and Photography of your special day will give the bride a unique way to remember her special day. You can have all of your special moments photographed and recorded to cherish forever. We’ll be able to capture unique Aerial Wedding Video and Photography of the wedding venue and wedding party. Footage will be professionally captured with state of the art aerial equipment and cameras. We are a team of professional aerial photographers who understand this unique field. We are courteous, respectful and safe. Every team member has a high level of experience with aerial video and photography so you will get the best results possible. If you need an Aerial Wedding Video and Photography service provider that is covered through liability insurance, we have you covered. Many traditional wedding photographers have a long wait before you have your photos and video. When you choose SkyFlik’s Aerial Wedding Video and Photography service, you will quickly have your order fulfilled, usually within 3 days. Some photos can be provided instantly via our Facebook page. Our team will work with you at our consultation to ensure everything goes as planned. Our Aerial Wedding Video and Photography team covers Cape Cod, Massachusetts, New Hampshire and most of New England. We’ll give you a quote that is fair and reasonable. Our equipment meets current technology standards so you’ll have high quality, high definition images to hold on to and share with your family. Give us a call for a free no obligation quote. You’ll be glad you did. SkyFlik Aerial Filming can take care of your Aerial Real Estate Video and Photography needs. We are FAA approved for commercial aerial drone filming, and we possess the airspace knowledge to ensure a safe operation. When needed we pre-coordinate with local airport authorities and air traffic control. We will capture high resolution photography and aerial video footage of your property. Our aerial video is captured in 1080p HD or breathtaking 4K resolution. We provide a live view so you’ll know right away if you like the aerial shot. Aerial Real Estate Video and Photography is a great way to showcase your real estate listing in a new and advanced way. Potential buyers are more likely to follow up on a listing that offers and in depth view of the property. Call us today and we will provide you with a custom proposal. UAVs are becoming more and more popular. As the technology advances there are more devices available all the time. Recording golf courses now possible with the use of UAS technology and the footage can be used for marketing purposes. HD vide footage from 400 feet provides a clear image of the golf course. Our camera carrying drones weight less than 2 pounds. They are safe and stable and we are flying experts, so we’ll move through your golf course quickly. Golf courses are using aerial golf course footage to attract new members. Many other types of businesses are turning to aerial drone photography as well. We are a professional aerial golf course video and photography company. Allow us to show you how aerial golf course video can provide your course with a successful marketing campaign. Many golf courses are using aerial video and photos to showcase what their location has to offer. They can show each hole on the course, the amenities and practice areas. This is a great way to get people’s attention and bring in more leads and members. Because marketing is so complex and competitive, aerial golf course video and photography will make you stand out. Aerial golf course video and photography will provide you with footage you can share on Facebook, YouTube and your own website. We will work your course pro to ensure your footage will be able to be used as a training tool. The pro will be able to preview each hole with their student. The clips will show the layout of each hole along with its hazards and challenges. Your golf pro will be able to easily explain and showcase your golf course using our vivid HD golf course videos. 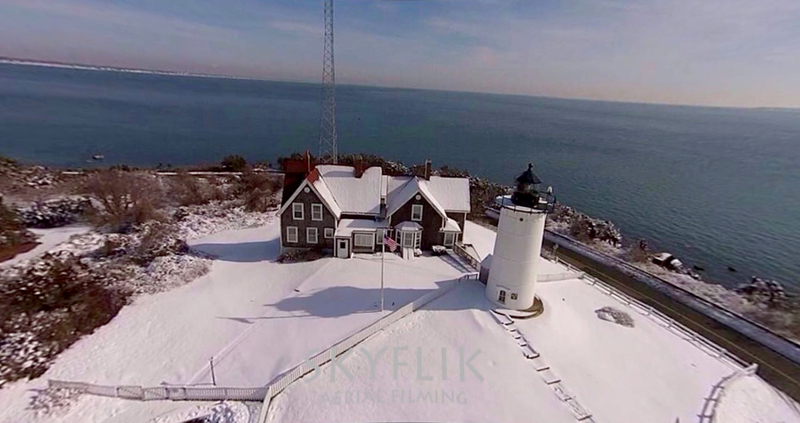 SkyFlik has the drone equipment, experience and staffing to handle filming your New England golf course. We have aerial photographers on Cape Cod Massachusetts and New Hampshire who cover a wide area. We’ll guide you through the planning to the implementation stages. With our aerial golf course footage, you will get a closer look at your golf course and you won’t need to hire a more costly helicopter. Using aerial video and photography, you can see things you weren’t able to see before. If you want professional footage of your golf course to use online or offline, contact us for a quote.